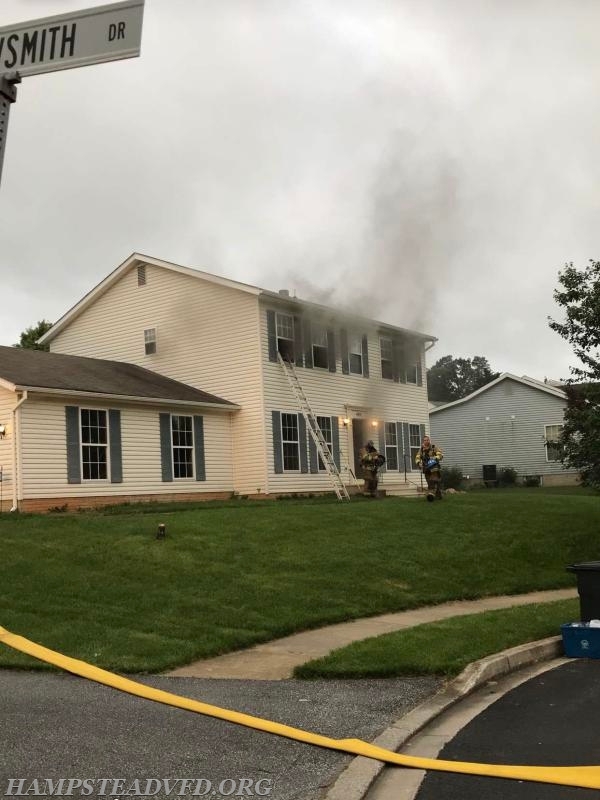 At 19:49 hours, stations 2, 4, 7, and Baltimore County 85 were alerted for a kitchen fire with rescue on Harrowsmith Drive (box area 2-6). 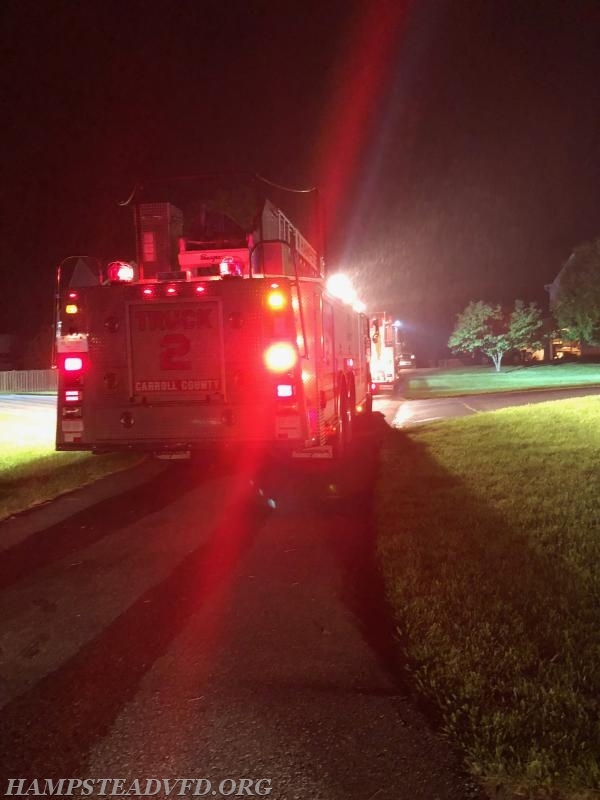 ET-24 arrived to find a two story single family dwelling with smoke showing from side Charlie (rear). Command was established by chief 2-1 and the RID (Rapid Intervention Dispatch) was started. 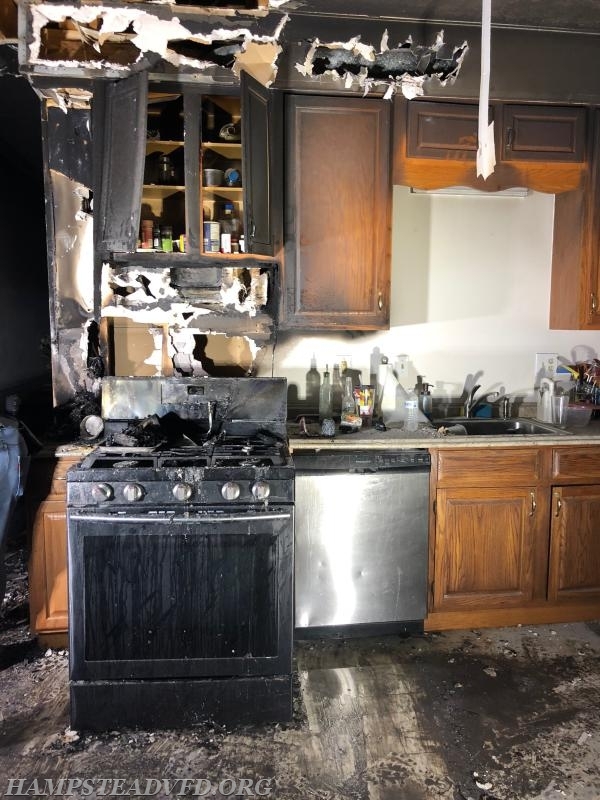 The engine company deployed a 1 3/4" hand line to the rear of the house and, after making entry, found the fire contained to the cabinets and stove. 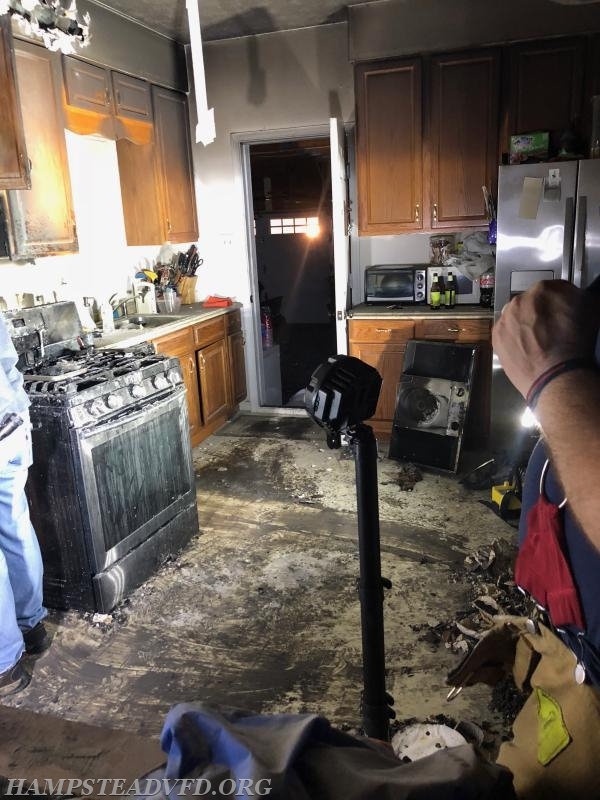 The truck company arrived and started a search which proved negative with the exception of removing two dogs from the home who were OK and happy to see their owner. 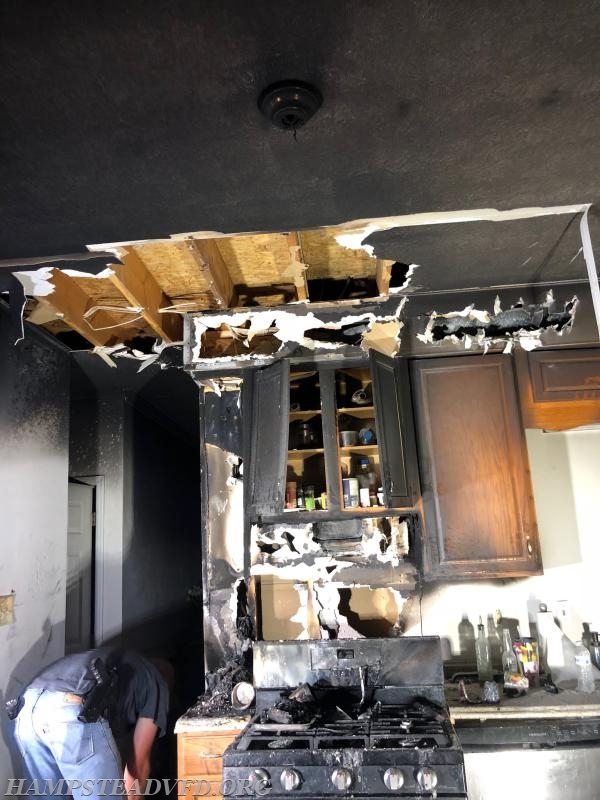 Additional units arrived and assisted with ventilation, overhaul, utility control, and salvage operations. 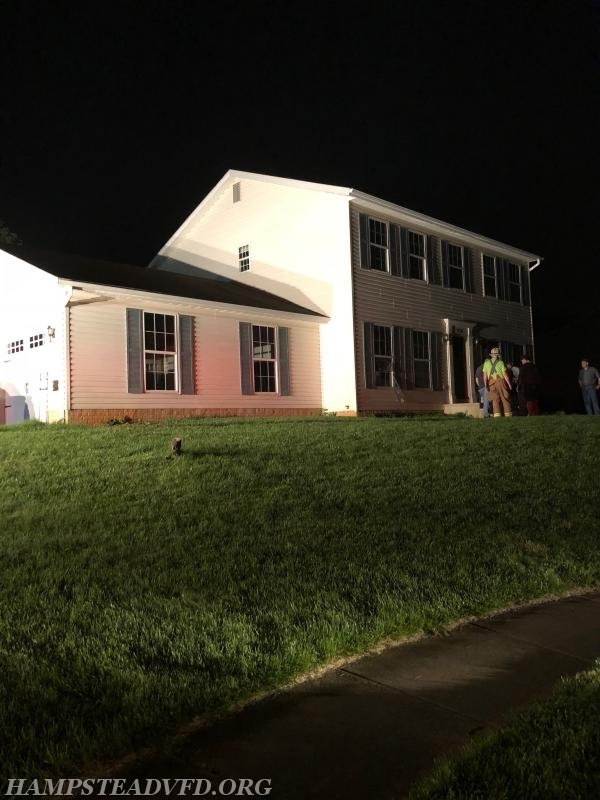 The fire was scaled back to 2 engines and 1 truck after extinguishment, and the scene was left to the state Fire Marshal for further investigation.